DMR V6 pedals are a Nylon evolution of the newest V12 body design. 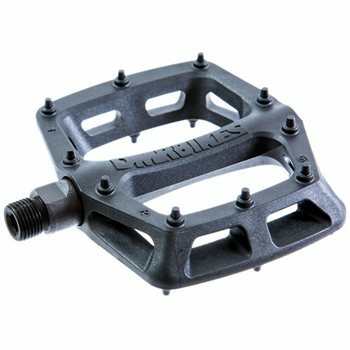 It has the same concave footprint and narrow profile that DMR pedals are known for, whilst spinning on DMR's new Dual DU bush system. Aggressive off road nylon pins. Weight - 327g per pair.